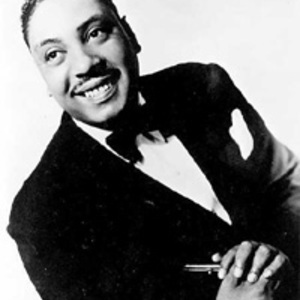 See also Big Joe Turner. (Joseph Vernon Turner ; singer- blues, rock and roll) See also Joe Turner & The Seven Levels. (21st century, Boston, singer & guitarist) Joseph H. Turner (3rd November 1907-21st July 1990) was an American jazz pianist. Born in Baltimore, Turner was first taught piano by his mother when he was five. He moved to New York around 1925 and enjoyed much popularity among musicians in Harlem, working with June Clark (1927-1928), Benny Carter (1929), and Louis Armstrong (1930). Joseph H. Turner (3rd November 1907-21st July 1990) was an American jazz pianist. Born in Baltimore, Turner was first taught piano by his mother when he was five. He moved to New York around 1925 and enjoyed much popularity among musicians in Harlem, working with June Clark (1927-1928), Benny Carter (1929), and Louis Armstrong (1930). He accompanied the singer Adelaide Hall in a piano duo with Alex Hill and then with Francis Carter; he and Carter toured Europe with Hall in 1931. Turner performed as a soloist throughout Europe until 1939, and then in the USA. After working as a member of an army band led by Sy Oliver (1944-1945) and with Rex Stewart (1946) he returned to Europe and played in Hungary (1948) and Switzerland (1949-1962). He then settled in Paris, where from 1962 he held a residency at La Calvados; he also performed in Great Britain, Switzerland, and the USA. Turner was influenced mainly by James P. Johnson, Fats Waller, Art Tatum, and Erroll Garner.